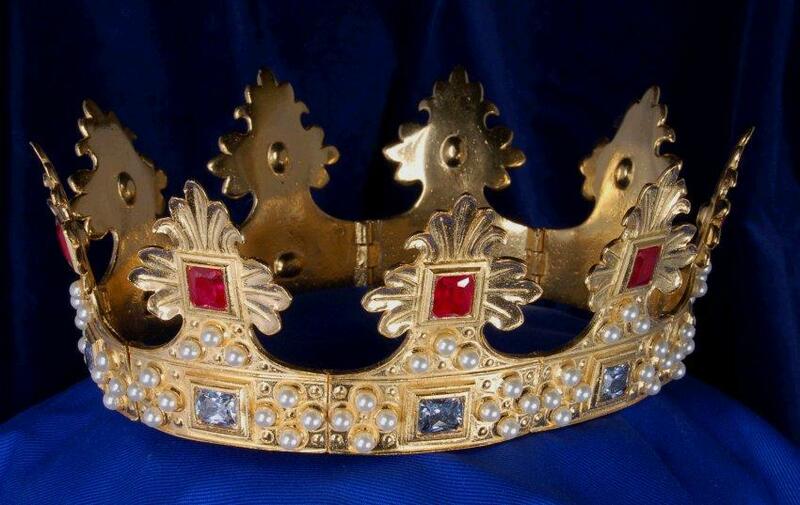 This gold plated crown is set with synthetic ruby, diamond (cubic zirconia) and Swarovski glass pearls. The segments measure 5.8cm across, giving a circumference of . The best fit comes by attaching a padded cloth band inside the rim to customise the fit and also make wearing the crown much more comfortable. Please contact us before ordering as these are made to order which can take four weeks.